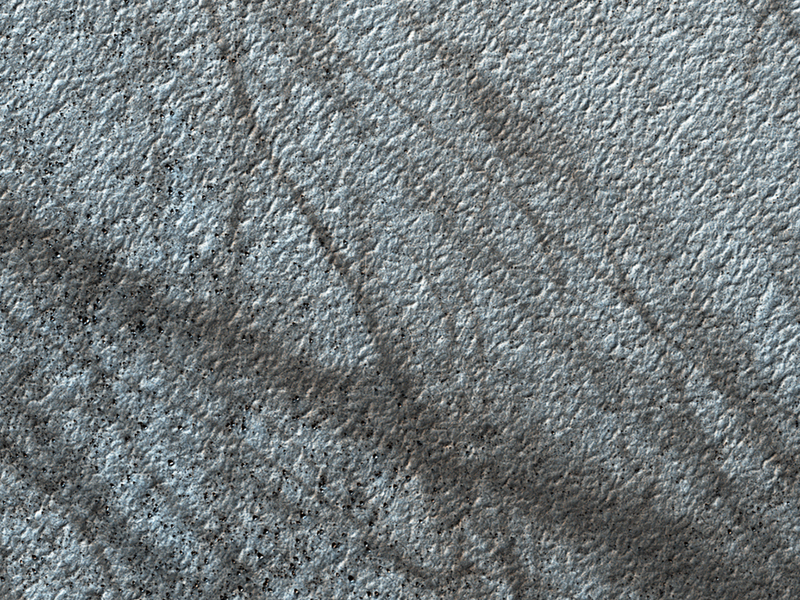 Dust devils on Mars often create long, dark markings where they pull a thin coat of dust off the surface. 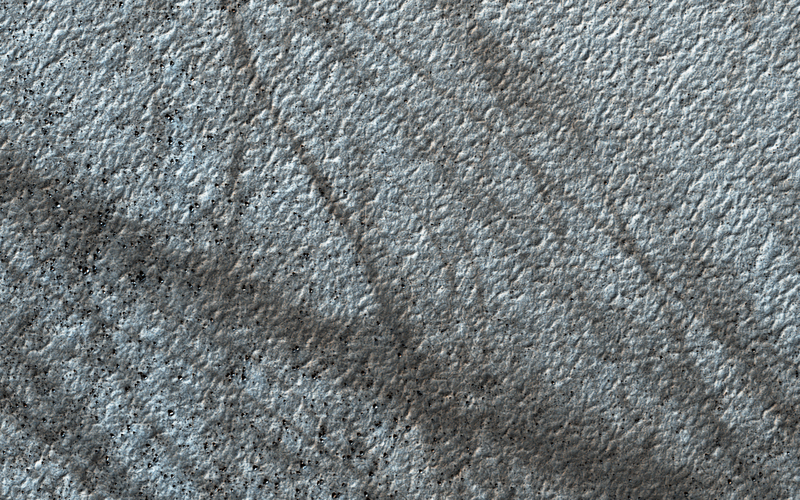 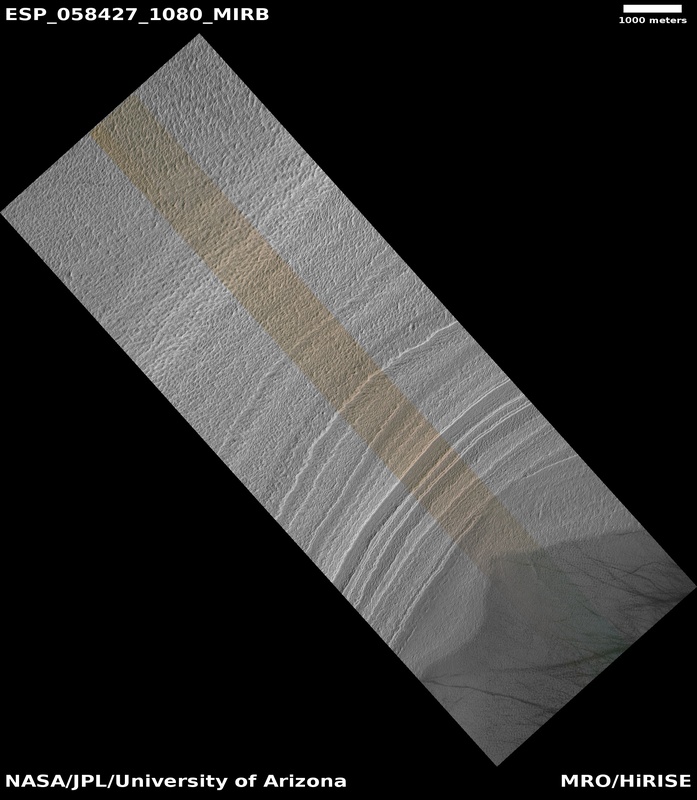 This image shows a cluster of these tracks on the flat ground below the south polar layered deposits, but none on the layers themselves. 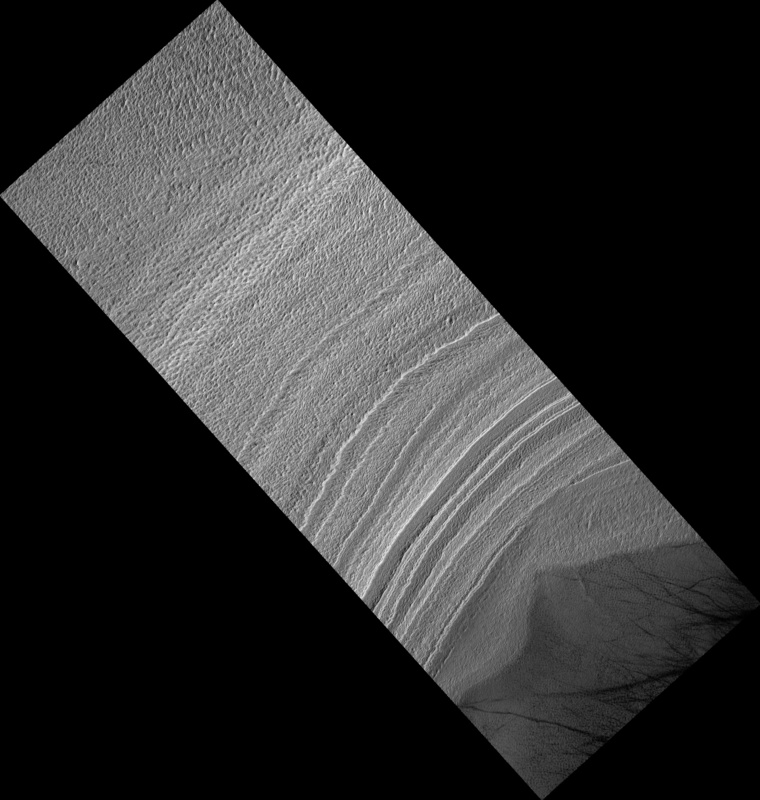 This tells us that either dust devils do not cross the layers, or they do not leave a track there. 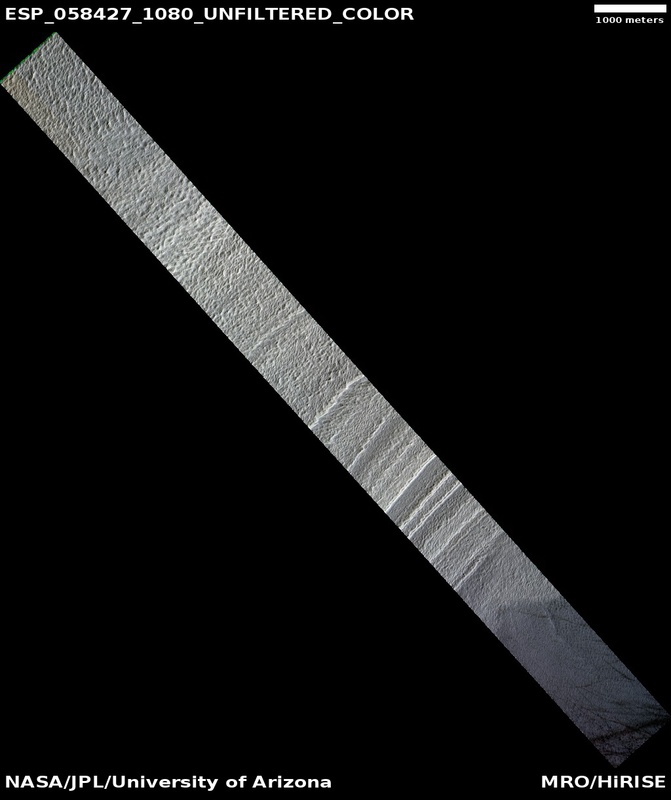 There are several possible reasons for this. 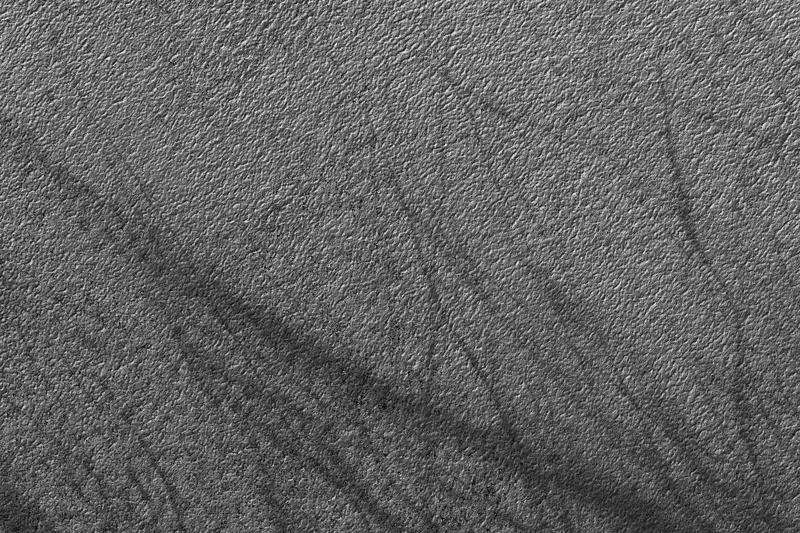 For instance, the dust might be thick enough that the vortex of the dust devil doesn’t expose darker material from underneath the surface.